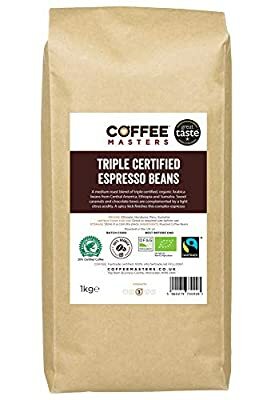 Triple Certified Espresso Blend Produced from Fairly traded, Organic, Arabica Beans A medium roast blend of triple certified 100% Arabica coffee beans. Sweet caramels and chocolate tones are complemented by a light citrus acidity. A spicy kick finishes this complex espresso. The Ethiopian coffee in this blend is sourced from Sidamo in Southern Ethiopia. Growing altitudes of between 1200 and 1800 metres above sea level create refined acidity. The Sidamo carries the name of its origin which lies in the southern portion of Ethiopia and under the region of Yirgacheffe. 98% of Ethiopian coffee (including this Sidamo) is planted by small coffee farms which are no larger than a hectare. 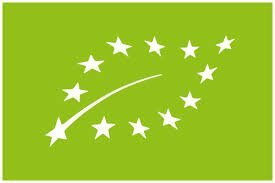 The Sidamo coffee is farmed by the Sidama Coffee Farmers Cooperative Union (SCFCU) which was founded in 2001, members of the cooperative have been growing and processing fine Sidamo coffee for over 30 years. 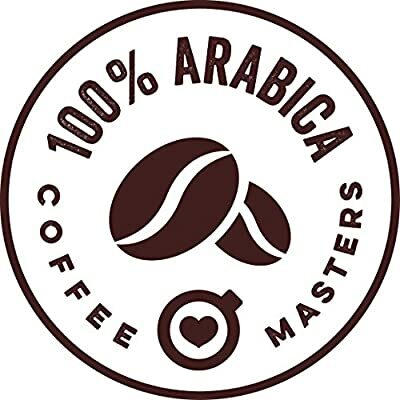 The Peruvian coffees used in this blend are sourced from the La Paz and Lempira areas in Western Honduras. 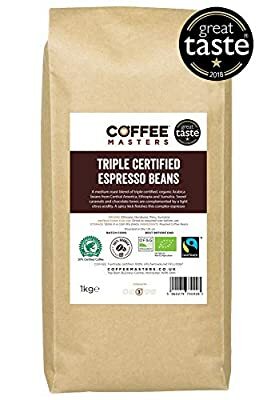 Grown at altitudes of up to 1600 metres above sea level, the Central American coffee in the blend give toffee sweetness and good levels of acidity to the blend, due to their high growing conditions. The unique Sumatran coffee in this blend is sourced from the Aceh Province in the North of the country. A combination of the semi-washing process and growing altitudes of between 1350 and 1600 metres give the distinctive spiced fruit flavour. 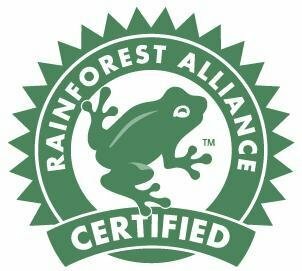 Accreditations; Organic, Rainforest Alliance, Fairtrade.